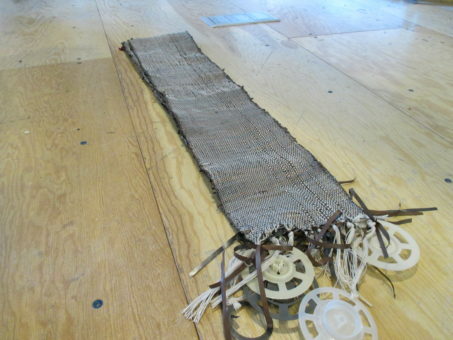 A couple of weeks ago we started a special, 8-track scarf on the loom in MAKESHOP. One of the days during this project fell on a snow for local Pittsburgh schools. Typically when a snow day happens we tend to get an older clientele than we usually get on a weekday. 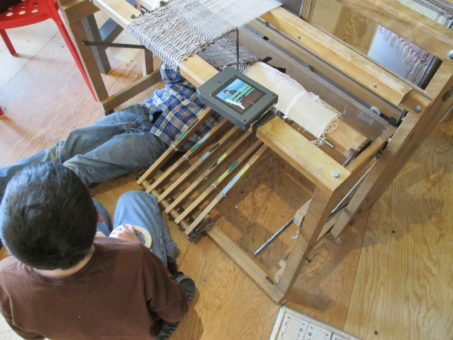 This particular day found two boys whose sole purpose during this visit to the Museum was to work on the loom. They literally worked on the loom that day. The two boys felt that the pedals weren’t attached to the jacks very securely. We let them fix this problem after we showed them where the problem was. 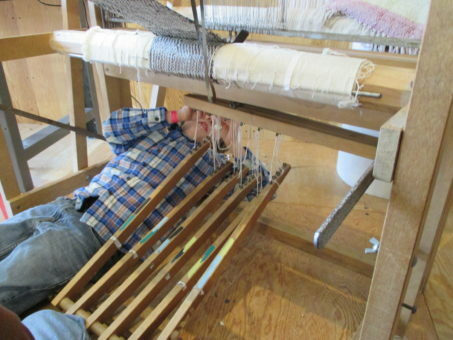 They spent quite a bit of time just working “under the hood” of the loom. Once the parts were tied together tightly the boys started to work on the actual weaving. They were really interested in weaving with the 8-track tape. The two actually finished the scarf and were shown by Lauren how to detach it from the loom and get it ready to be hung up. They even added a little flair to the ends of the scarf by attaching the spool pieces of the inside of the 8-track to the braided thread. 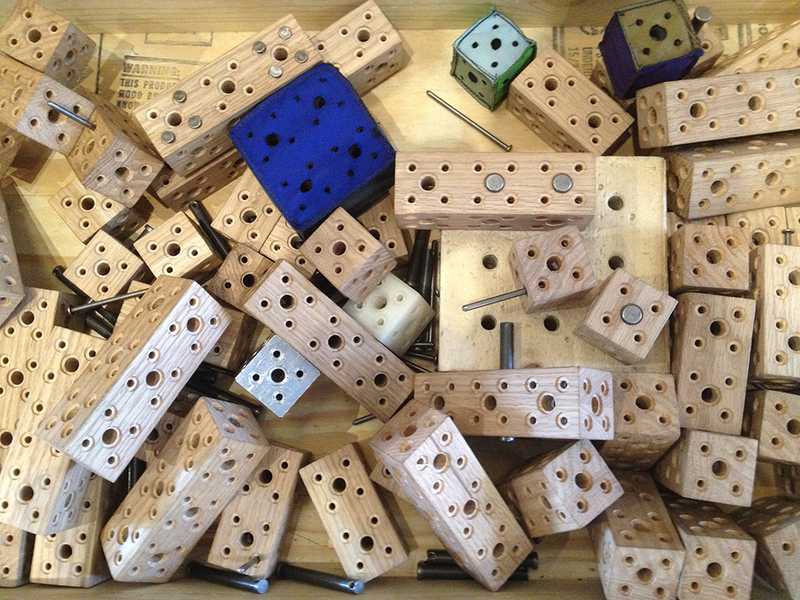 It is always great when visitors feel comfortable enough to really jump into project. These boys really got to experience what it is like to be an Exhibits Technician. Part repair-person, part artist, part kid.